Bigger is better. So says Brad Jacobs, CEO of XPO Logistics. And who can argue? 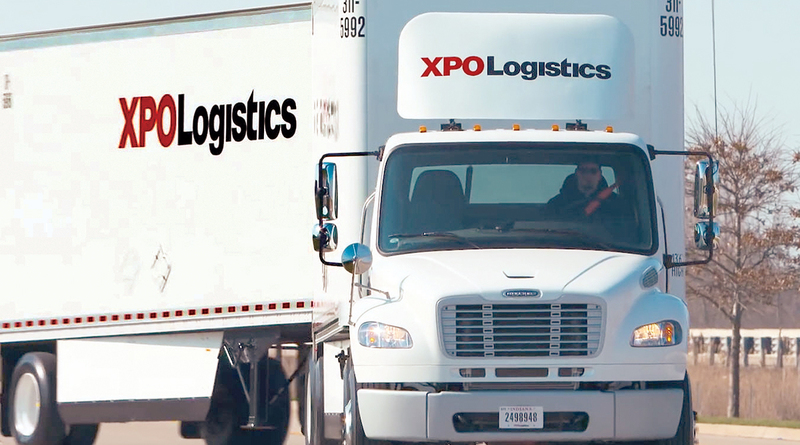 XPO Logistics remains ­firmly entrenched as the No. 1 logistics company in North America after a meteoric rise fueled by a string of high-profile acquisitions over the last eight years. Jacobs is not alone in thinking this way, of course, and with XPO putting a hold on acquisitions while it sorts out the loss of $600 million in business from its largest cus­tomer along with a slowdown in business growth in Europe, others are seizing the opportunity to challenge Jacobs for supremacy in logistics. UPS Supply Chain Solutions and DHL Supply Chain, ranked Nos. 2 and 3, respectively, grew much faster than XPO Logistics in the past year, narrowing the gap in revenue and maintaining a steady focus on expanding their logistics capabilities. J.B. Hunt Transport Services jumped ahead of C.H. ­Robinson Worldwide in the rankings and, more impor­tantly, signaled that it was ready to make acquisitions to bolster its market share. J.B. Hunt purchased Cory 1st Choice Delivery, for example, as a way to accelerate plans to offer nationwide final-mile delivery services. Penske Logistics and Lineage Logistics are two other examples of companies that moved higher in the rankings ­after making substantive acquisitions over the past year. Penske ­acquired Epes Transport System, a dry van truckload and dedicated contract carrier. Lineage bought rival Preferred ­Freezer Services, displacing Americold as the largest cold storage warehousing firm in North America. Lineage jumped to No. 9 from No. 18 on the TT Top 50 list while Americold dropped to No. 17, from No. 9 a year ago. Companies outside of North America also represent a threat to the current group of top-ranked logistics companies. DHL’s corporate parent, Germany’s Deutsche Post AG, is already the biggest and perhaps most capable logistics company in the world and other firms in Europe are actively pursuing Ceva Logistics and Swiss freight forwarder Panalpina as acquisition targets. Ultimately, DSV acquired Panalpina for $4.6 billion. And what about Amazon? The online retailer is pulling back some of the business it does now with third-party ­logistics companies and the consensus among many logistics industry analysts is that it will become a 3PL itself, if it hasn’t already. All that is missing, frankly, is some way to objectively measure the revenue that Amazon generates by providing fulfillment and delivery services to sellers that use its platform. Some believe that Amazon is already bigger than any logis­tics company in the world, but the reality is that we don’t know enough about the company or its long-term objectives to say for sure. Logistics industry researcher Evan Armstrong sees sev­eral scenarios for Amazon, ranging from maintaining what it does today to becoming a full-fledged global logistics company and making acquisitions, not unlike the way it entered the grocery business with the purchase of Whole Foods. On the other hand, experts such as Jim Rice at the Center for Transportation and Logistics at the Massachusetts Institute of Technology point out that Amazon is losing money on logistics now and doing more of it doesn’t make a lot of sense. But then, profits have never been a priority for Amazon. Growth is. And that is the strategy that should worry all of the companies on the Transport Topics Top 50 Logistics Companies list.